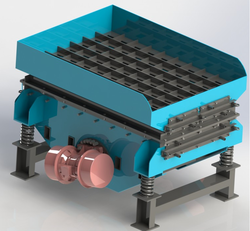 We are manufacturing various capacity Lump Breaker for Reclamation plant. This equipment placed after knockout and before Pneumatic Transporter / any conveying system. We are using imported Vibratory Motor. Sand Reclamation Plant - Shakeout with classifier works based on attrition method. We are having varient from 2 TPH to 10 TPH and we are using imported vibratory motor for vibrating the equipment. You can use existing dust collection method or system for this or we can provide upon your request. 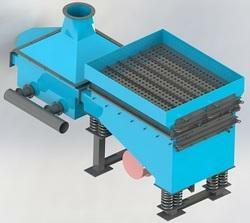 This equipment is inbuild with two blowers ( one for sucking dust and another one for classifier ). Looking for Sand Reclamation Plant ?